This square shaped knob can definitely give the perfect delicate final touch to any home design. 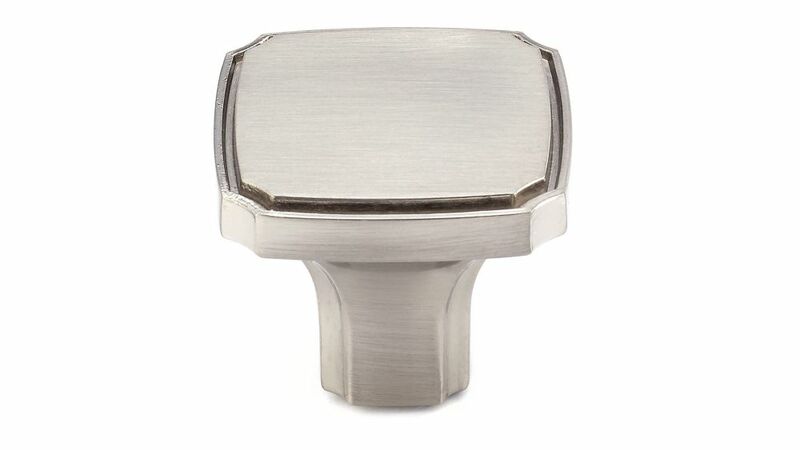 Contemporary square metal knob by Richelieu in brushed nickel finish. Characterized by its square base and twisted design, it adds a unique look to any dicor. This contemporary Richelieu knob will elevate your home dicor and add a touch of style to furniture and cabinets. Features an attractive square shape and decorative plating. Transitional Metal Knob Brushed Nickel - Lorraine Collection Transitional square knob by Richelieu. Discreet edge and corner details lend a touch of elegance to your kitchen and bathroom furniture and cabinets.